I’m at the age where I don’t get excited too easily, but sometimes, something really small can do it for me. I think beam tint and beam quality are just as important as blinding output. I developed the Smooth-Hybrid reflector just for that reason. I really like a smooth beam but don’t want to resort to an orange peel reflector…it seem to ‘mush up’ the beam too much…especially in a small P60 sized reflector. I now have a new lens that I’m calling Micro-Texture that has a really nice effect on the beam pattern. A normal P60 orange peel reflector has about 200 or 300 good sized irregularities to coarsely diffuse the beam…the Micro-Textured lens has about 10,000. When telling someone about this lens, two questions come up…how much does it reduce the output? and how much does it reduce the throw?. Since it’s has a textured surface and not a frosted surface…it doesn’t reduce the output…because it’s AR, it increases the output over the stock lens -the output matches that of my clear AR lens. It does reduce the throw, but only by about 2%… much less than an orange peel reflector would. The Micro-Textured lens tends to make more visible difference if there are artifacts are in the beam…the worse beams will see the most improvement. Even a orange peel reflector will have an improved beam pattern with the MT lens. Here’s a photo of a Solarforce stock lens, AR lens and the MT AR lens (the lenses are 1” above the paper in the background). No beam shots…I’ve never had much luck with ‘white-wall’ beam shots. You want a smooth beam without resorting to an orange peel reflector. 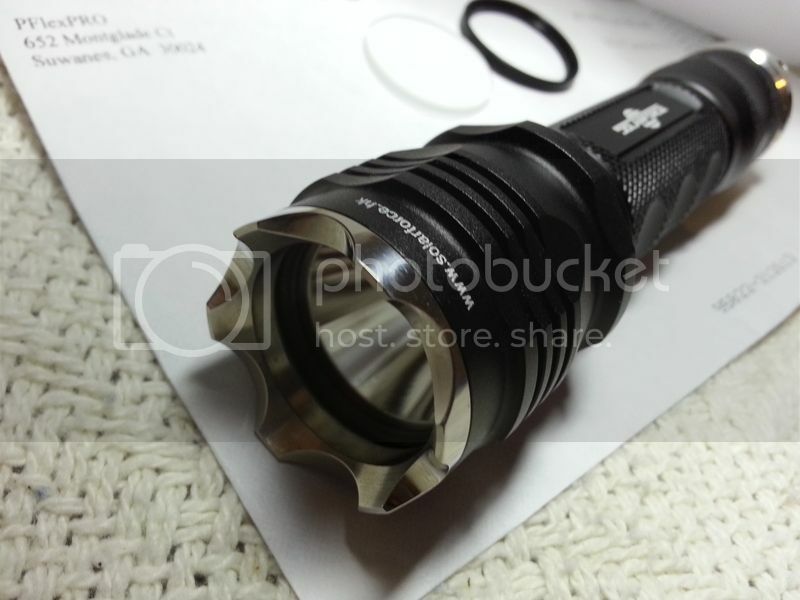 You have a Solarforce P60 light…preferably with some ugliness in the beam. Your mailing address in in the ConUS. You will report back after trying it for a while with your opinion. First 5 to comment something like ‘gimme one’ or something equally eloquent. No destructive testing on this lens… it’s the same material as my clear AR lens that was abused in an earlier test. Paired with a Smooth-Hybrid reflector, I really can’t see why anyone would want an orange peel reflector. I’m not sure why anyone would want a smooth reflector without the MT lens…but that’s just me. We’ll have to wait for the comments from the testers. I’m adding my official testing of the MT lens. I’ve also added a diffusion lens to the mix. The diffusion lens is a ‘very fine diffusion’ but it is has the traditional frosted appearance. Even though, it’s very fine, it still diffuses more than I want and drops the output considerably. For the output and throw test, I used a P60 with a 3.8A drop in. The drop in has a smooth-hybrid reflector installed. For both output and throw, I powered the light with a lab power supply set for 4.2v. The output test was performed with my integrating sphere. The throw was read at 2m and the throw was calculated. There’s two ways to look at the throw from the MT lens… it reduces the throw compared to ‘no lens’ by 1.23%. More realistically, it actually increases the throw when compared to a stock Solarforce lens and gives better beam quality. The traditional type of diffusion lens gives a very soft beam, but cuts the throw in half. Now, for the output test. 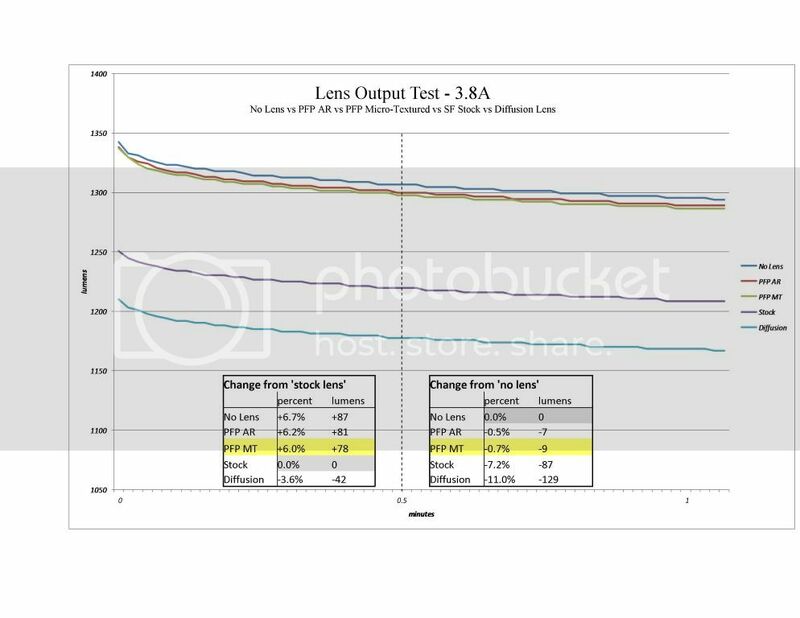 The table within the graph makes a comparison of all lenses to ‘no lens’ and to the stock Solarforce lens. You will notice that both the AR lens and the MT lens are running above 99% efficiency. At this power level (3.8A), the MT lens only reduces the output by 3 lumens vs the AR lens. At this output level and with such a small difference, I’m temped to say ‘there’s no difference in output’. Hopefully, over the weekend, everyone will have had a chance to try it out and give your feedback. Yes, please let me try one. My wife uses your first lens with a smo and 219c. I think this would be a benifit. Wow, looks cool! I’m in. I have several different P60 set-ups that I can try them out on and report back. I’m impressed it didn’t reduce output. So is this something you’ve found? Designed? Modified? What diameter are these lenses? Can they be used in a light like a 20mm Convoy ? If so, I’d like to try one. Can compare one with and without the lens. Modified is probably the best description. I buy my base material from a company that specializes in high performance HD plastics, so the base material is sourced from them. I have another company do a vapor deposition coating. The company doing the VD coating makes touch screens. Their coating process focuses on durability and cleanability. The base material is true ‘optical quality’ and very scratch resistant…the coatings, along with very high AR properties also are smudge resistant (on one side) since the coatings are meant to be touched. The base material for the new MT lens has only a very fine texture…the texture is a micro-ripple. A lens can eaisly over diffuse light because of it’s position (distance) in respect to the emitter, so the texture must be incredibly fine. If you think about rippled glass vs frosted glass…the rippled glass only changes the direction of light but is still complete clear. Frosted glass will diffuse light and block a great deal depending on the amount of frosting. If this lens is placed directly against a printed page, it will look completely clear. As it is moved away from the surface, the diffusion will become noticeable. In the photo, all of the lenses are about 1.25” from the printed page. 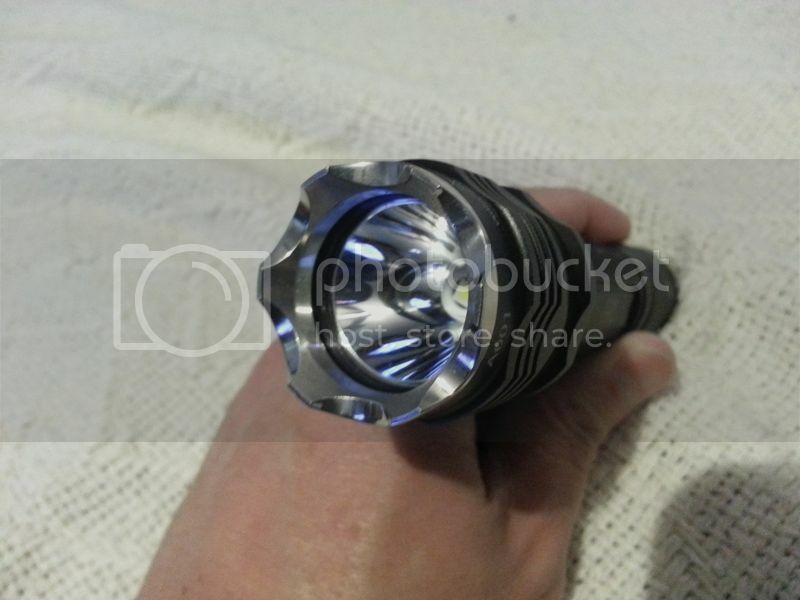 I’ve got several P60s solarforce lights and I’d love to review the lens. My daily driver is a solarforce P1 so I can give it a good workout in that and other lights. I also have rudimentary lumen/lux measuring capabilities, and more advanced photography capabilities if you want pics. Now patent it for flashlight use. I have several 6p (both surefire & solarforce) but I’m not in US. I’d like to try one please! 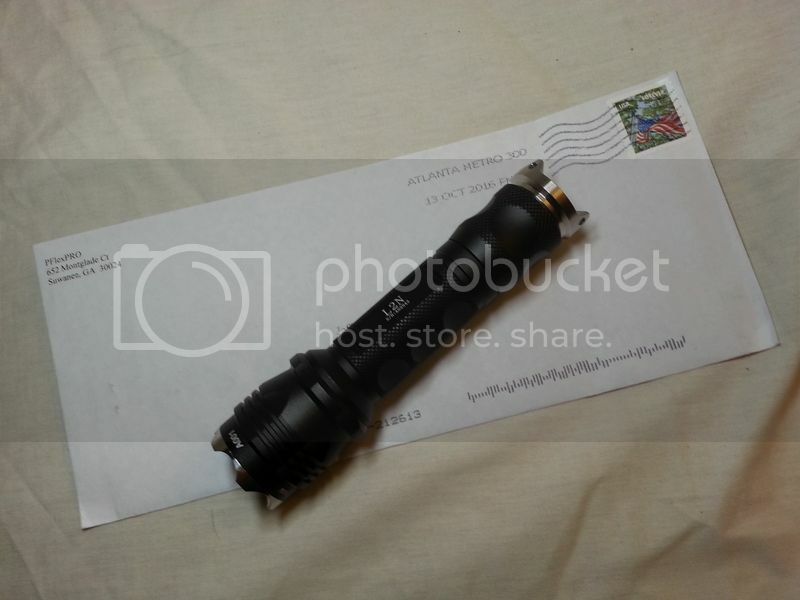 I’ve always been a huge Solarforce and Surefire C format flashlights and have many! excellent, looks like a lighter (more professional ) version of the DC fix (which it s what i have on my solarforce). I got the lens yesterday and I was able to try it on one of my solarforce lights with an xhp70 led. It definitely reduces artifacts in the beam and helps reduce the black doughnut in the center of the led. I noticed that it’s more noticeable when I have the light on high rather than on the low setting. 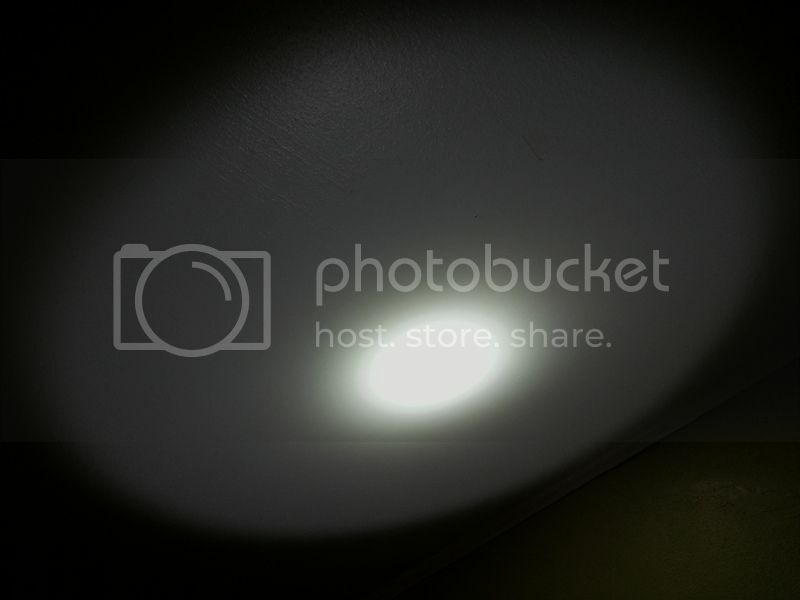 I tried the lens on both OP and smooth reflectors and it helps with a better beam on both reflectors. I was only able to try it on a white wall and didn’t have time to try the light outside to see if there was any noticeable differences in throw to the naked eye. I’ll report back once I have more time to play with the lens. But so far it seems like pflexpro has found another trick to improve upon p60 lights. Very curious about your MT lens. I have several ‘mule’ P60 drop-ins using XR, XP, and N219 emitters. I’ve tried diffusion plastic, tuf-film spray and textured plastic insert to smooth the light, all w/ varying degrees of success. I’ll watch for test updates and pricing. Good luck w/ your product. Got mine in the other day and it works wonders. I tested it in my Solarforce with a hard driven 219C and SMO reflector. The rings in this light have always driven me nuts, this all but removes them and I do not see an impact on the amount of light out the front. I will try and capture good pics this weekend of the results. Just got mine today, haven’t had a chance to test it yet… Will get to it in the next few days for sure! If I could try one of your MT lenses it would be greatly appreciated. It’d be great if these could also be made in the 21mm(?) Tube light size. My guess is you’re looking for something for a triple. I could have a sheet cut at 20.25mm for the S2/S2+ lights but it would be in a lot of lenses. If there is enough interest, it would be no problem. Have you held it in front of a triple to see what it looks like? Not necessarily a triple. I think it would have more impact on a single emitter light, like my EagleEye X2R. I already use frosted (narrow) optics on my triples and quads, so I don’t think there would be much benefit seen there for me. Simon is selling the SMO reflectors now for the S2+. You were saying they probably wouldn’t be effective with the OP reflectors. It would be very effective with the S2+ SMO optics. I have a couple of them now and they would improve with this. And, they would still have more throw and a more concentrated hotspot than the OP reflector! The Olight S10R would also like this glass in front of it. That’s good news…but where’s the smooth reflector for the M1? 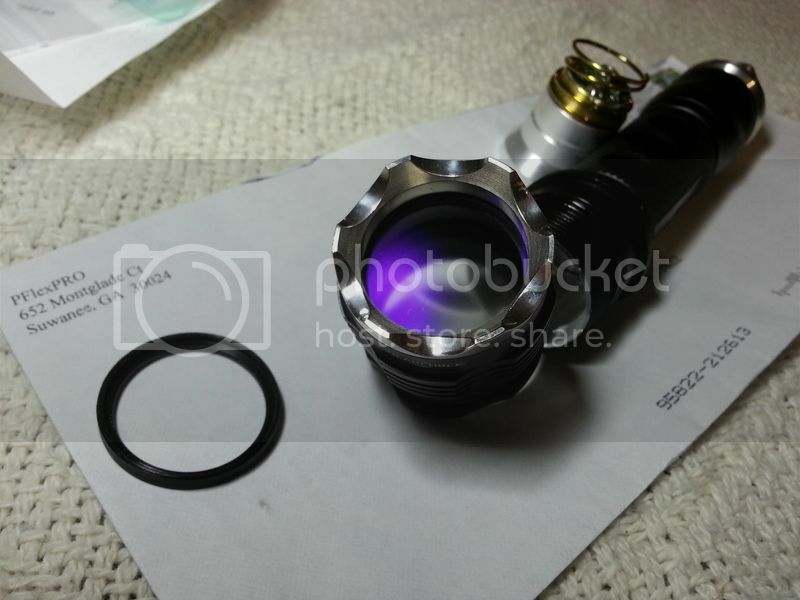 If the price is reasonable, I would love to have this lens for all of my reflectored S2+ and C8 lights. Yesterday I put together a S2+ with SMO reflector + XP-L HI and there are some unwanted artifacts in the center spot, same with the new clear C8 which doesn’t produce a beam as clean as the older v3 batches, it has an ugly corona and the spot is not as smooth, it also produces about 5% less kcd which is a bit disappointing. The best C8 reflector I’ve used was from a thorfire C8S. I have interest in the s2 size. The P60 and S2/S2+ lenses are small enough so the price isn’t crazy. I decided to try my sample with the ultimate challenge: The XP-G3 4500k 90cri in a smooth reflector. I give this product a thumbs up. No, it doesn’t fix this emitter. The tint shift is still ugly as sin with green blue and yellow all in one. But I did see a noticeable improvement over how it was without the micro texture. One thing I notice about this vs a frosted lens, the coating/texture/whatever doesn’t “glow”. 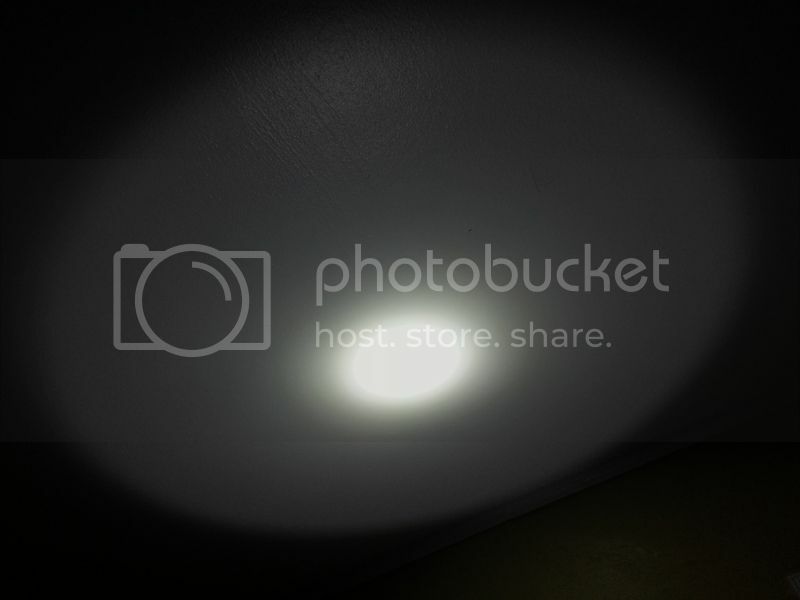 With other effects it looks like the lens itself has become the light source, with this you can still see through it to the emitter and reflector when the light is on, it’s just a little blurry. That tells me it isn’t blocking the amount of light frosting does. Hopefully that makes sense. I do think you should price out a run to fit the S2+ and other tube lights, I’d buy one or two. Been playing with the one I got as well, just busy with work for the next few weeks so no pics. This is amazing and like PD68 said above, the lens itself does not look like the actual emission surface. Good way to put it PD68, I could not place what was so different about this lens and its treatment prior to what you posted. Putting this in front of a smooth optic (20mm) makes an even smoother look to the beam. Not a “holey moley” difference, but a good one for someone that wants a different look on a clear optic. In front of my SMO reflector lights, this is EXACTLY what is needed to make a beam that can be used far or near, indoors or out and just looks right. Incredible stuff you have here Randy, I would guess you got your idea from a Kindle or other dedicated glare free device, that is the only thing I can think of. On a sheet of paper in the sun, the lens is glare free, but for flashlights, a little bit off the emitter makes for a beautiful beam from the micro textured lens. Great stuff! This will be on any light I order from you! 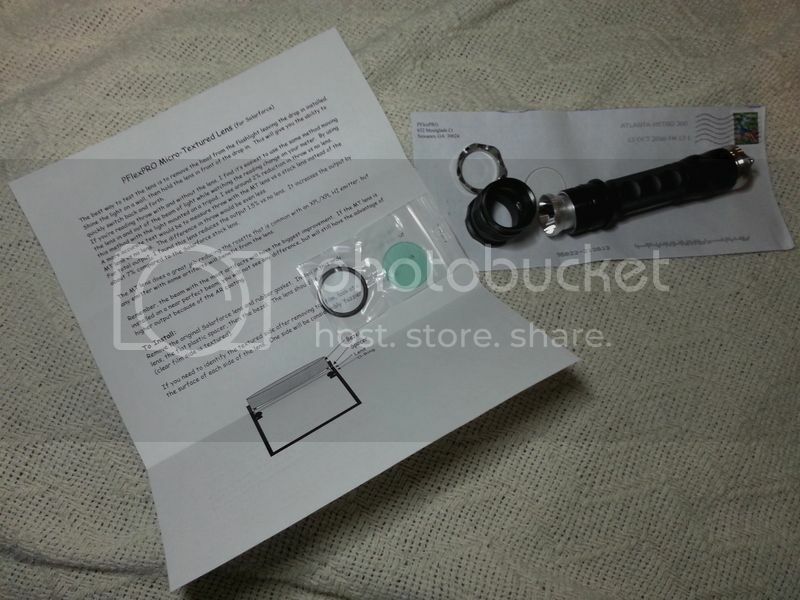 I would also order this as a lens separately as well…. I’ve added some output and throw test to the original post. I should have the MT lenses available for the S2/S2+ lights in about 2 weeks. That being said, this PFlexPro Micro-Texured Lens gets 2 big thumbs up from me! Just got mine as well, and should have some more detailed feedback shortly. One thing I noticed (that I didn’t catch initially) was that there is protective film on BOTH sides of the lens. At first I only noticed/removed the film on the more obvious side, as the other side didn’t appear to have any film in place. Also, the attached instructions states to install with the textured side out, and that the clear film side is textured. So, at first I thought there was only one “clear film” side. At least on my sample, the film on the non-obvious side was on there very good and perfectly round. It actually took a bit of effort to get the film off that side once I finally realized it was there. So, to all that received these as samples, be sure to take the film off both sides!